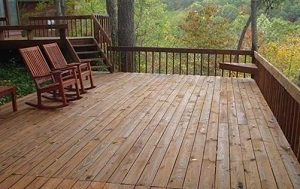 Professional Harrisonburg deck and wood maintenance is very important ans it helps to keep your wood decks, patios, docks and other outside woodren structures looking clean and new. Everyone has seen what happens when wood is left unprotected and un cared for in the out side elements. It quickly becomes gray and starts to fall apart cause in to look poorly. TaskMasters offers a full service, highly skilled Harrisonburg deck resoration contractors, that have been trained to perform work safely, professionally, and with regard to customer satisfaction. If you're looking for a professional log home restoration contractor in Harrisonburg, then give us a call 252-266-9457 or complete our online request form.